Lionel Messi was a near-anonymous figure as his Barcelona side were humbled in Paris, with the French media quick to jump on a lacklustre display by one of the greatest to ever play the game. 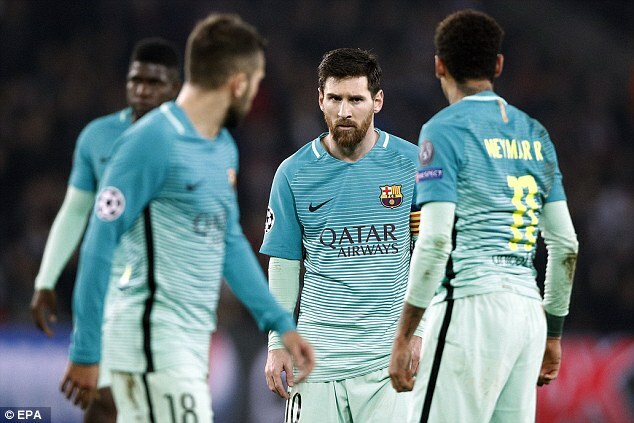 Barca suffered a near-terminal blow to their Champions League hopes as they went down 4-0 to Paris Saint-Germain in the first leg of their last-16 tie, with the Argentine unable to rouse his side as things went from bad to worse. So much was his anonymity that Messi did not touch the ball inside the PSG box on a single occasion, while he was restricted to a single free-kick effort which hit the wall as Barca desperately searched for a way back. It never came, or showed any sign of coming, with a lasting memory of the evening coming when Messi was stripped of possession by Adrien Rabiot as part of the move which led to Julian Draxler’s all-important second goal before half-time. 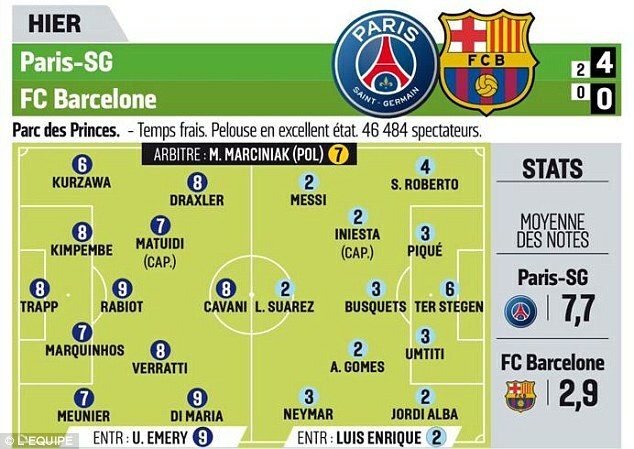 So poor was his display, and that of his Barcelona team-mates, that he was awarded just 2/10 as part of French newspaper L’Equipe’s post-match ratings. 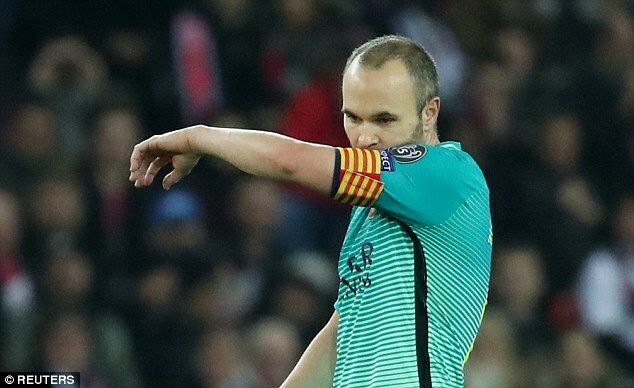 He was not alone, with fellow icons Luis Suarez and Andres Iniesta receiving the same score, while Neymar and Gerard Pique fared only slightly better with marks of 3/10. Goalkeeper Marc-Andre ter Stegen was the only Barca player to come out of the game with anything resembling credit, with his mark of 6/10 a reward for reducing the damage on a night where the hosts could realistically have scored more. 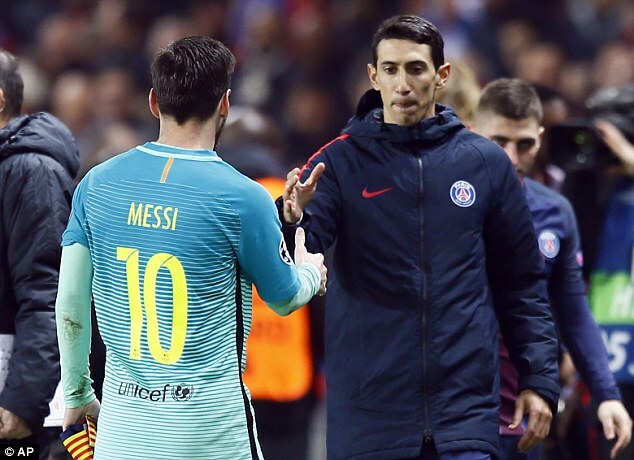 Unsurprisingly, the PSG players fared rather better, with two-goal hero Angel di Maria the star of the show, with the birthday boy netting a rating of 9/10 for his display. 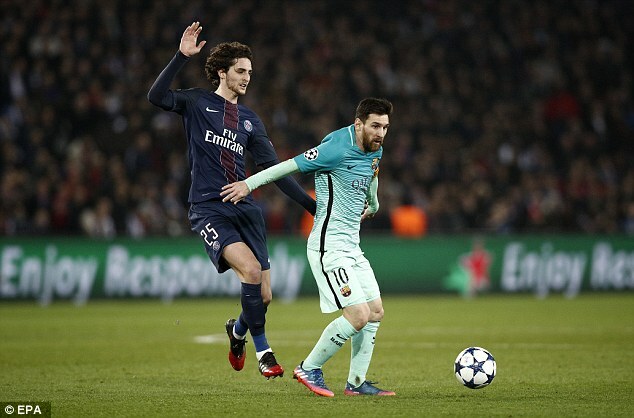 Also on that figure was Rabiot, who as well as his stripping of Messi for Draxler’s goal, kept the Argentine on the fringes throughout as his close attention ensured Barcelona’s central figure endured a rare night to forget. The vast difference in performance also stretched as far as the touchline, where Luis Enrique picked up the same rating as Messi, with a two, while PSG boss Unai Emery was rewarded with 9/10 for masterminding the famous win. Overall the hosts were given an average score of 7.7, with Layvin Kurzawa letting the side down with just a six, while Barcelona’s woeful display ensured they were ranked at an average of 2.9/10. Meanwhile in the Spanish media on Wednesday, they didn’t hold back in their criticism of the Barca players. 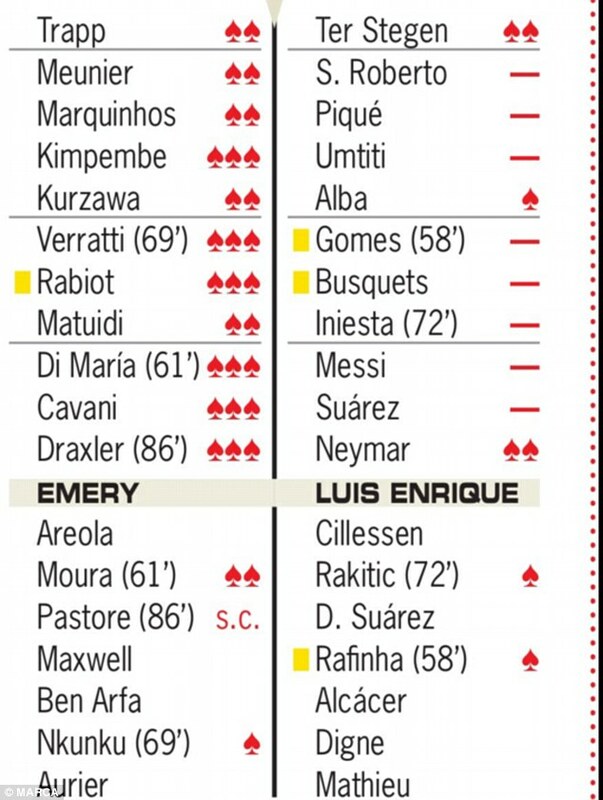 Marca refused to give eight of the Barcelona starting XI a rating, with Ter Stegen, Jordi Alba and Neymar the only players to receive a mark. The two sides do it all again in the second leg on March 8, where anything less than a complete reversal of fortunes will see the Catalan giants exit stage left before the knockout stages have really begun. 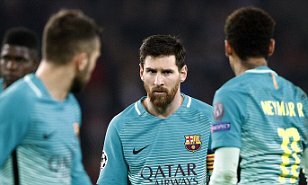 No side have ever come back from a 4-0 deficit to progress in the Champions League, meaning Barcelona will need to re-write history if they are to survive to fight another day.